What Israeli apartments do foreigners want? The past decade saw an increase in the number of Diaspora Jews buying properties in Israel. The trend peaked before the property bubbles burst in the United States and Western Europe in 2008, with foreign residents buying approximately 6,000-7,000 apartments and homes annually. Since then, the number has declined to 4,000-5,000 per year, about 4% of the total market. However, foreign residents – primarily from North America, England and France – are still showing healthy interest in buying in Israel. Unsurprisingly, for foreigners with money, most attractive properties happen to be in Israel’s most upscale developments and areas. A penthouse on the Tel Aviv beach, a single-family home in Jerusalem’s German Colony, a house in Herzliya Pituah – these are the areas in highest demand by Jewish millionaires. However, other sites along the coastline are less expensive and also attract overseas buyers. As an urban, business and cultural center, Tel Aviv is at the top of the list of cities attracting foreign attention. The city’s proximity to the sea only adds to its appeal among Jews whose primary homes are in North America or Europe. They prefer to buy their vacation homes, which may eventually become their principal residences, close to the beach. Walking distance is a big plus. Tel Aviv offers a wide variety of apartments, starting with small 2-room apartments (one bedroom and a living room) in old buildings on streets near the beach. Prices start at 1.8 million shekels ($515,000) and can reach 2.5 million shekels, depending on the apartment’s state, location, window views and whether it has parking and/or an elevator. Properties on the beachfront itself are some of Israel’s most expensive. This year, Canadian-Jewish billionaire Sylvan Adams bought an apartment at the new 10 Herbert Samuel tower (being built by Ofer Investments) at an estimated 110-120 million shekels. The first occupants of Hayarkon 96, a tower built by the Faire Fund, began moving in a year ago. Two apartments are still for sale: One, on the fourth floor, is 294 square meters over four rooms, plus a 196-square-meter balcony; the asking price is 19.5 million shekels. One story higher is a 133-square-meter, 3-room apartment with a 20-square-meter balcony that’s going for 11 million shekels. The building is an old Bauhaus structure that was renovated, with additional floors built on top, for a total of nine stories. Real estate agent Samuel Van Kote is in charge of marketing another beachfront development, David Promenade Residences. Van Kote says the building’s location on Herbert Samuel Street, next to the Tel Aviv boardwalk and beach, is highly attractive to overseas buyers, particularly those who care more about design and character. One apartment there is selling for more than $10 million, Van Kote says. The building has a pool, spa, fitness room and concierge services, while the apartment itself is 300 square meters, with an additional 200-square-meter balcony. Another project on the high-end beachfront market is Sea One. Two apartments there sold for more than 100 million shekels, as did one apartment at 10 Herbert Samuel. The latter project, a 21-story tower, is currently beginning construction. According to Van Kote, the David Promenade Residences apartments are either half a floor (200 square meters) or a full floor (400 square meters) apiece. “Most of them have been sold to clients who live abroad due to their work, but who have a strong connection to Israel and wish to move here sometime in the next few years,” he says. The project – adjacent to the Kempinski Hotel – will offer concierge services, a pool, a fitness room and a spa, plus a Mediterranean view. The 200-square-meter apartments, with 30-square-meter balconies, are being sold for 17 to 20 million shekels, although Van Kote believes that once construction is complete, prices will increase to 20-30 million shekels. Sea views and beach proximity may be important in coastal cities, but views of the Old City are exclusive to Jerusalem. “For overseas buyers, it is very important to feel they are in Jerusalem and not that they are living somewhere that could be anywhere else in the world. 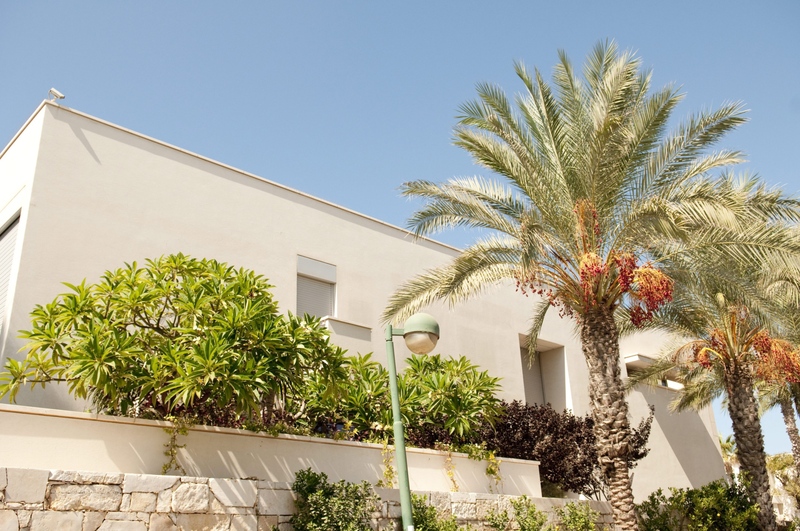 A luxurious villa with a generic location or view won’t attract much interest from foreign residents,” says Eli Teperberg, of Teperberg Realty in Jerusalem. Teperberg is handling the sale of a unique property, with an equally unique price tag – $6 million. The property, whose current owner is an Israeli who lives abroad, is a luxurious 5-room penthouse (each bedroom has an en suite bathroom) on Rabbi Akiva Street in downtown Jerusalem. The penthouse is more than 300 square meters spread over the tower’s top three stories (16th through 18th), and has its own private elevator. The apartment has two large balconies that are 35 square meters each; one has a Jacuzzi. “This building was built about 15 years ago, and most owners are American, English and French foreign residents. Some of the renters are in the foreign media,” says Teperberg. The building has a fitness room, sauna and concierge, and three elevators, one of which is a Shabbat elevator. “There aren’t many sales in Jerusalem at these prices, but there aren’t that many properties like this, either,” says Teperberg. The most expensive Jerusalem apartment deal ever took place last February. Russian businessman and billionaire Leonid Nevzlin purchased two apartments on a lower floor of the Waldorf Astoria project, on the corner of Agron and King David street, combining them to create a 500-square-meter space. He paid approximately 40 million shekels. Y.H. Damari Construction and Development hopes to smash that record with a nearby property in David’s Village. It is part of the company’s Legacy development, opposite the Jaffa Gate, which includes 60 apartments in buildings up to four stories high. So far, 10 apartments have been sold, nine of them to overseas buyers. The project is expected to be completed toward the end of 2016. Amir Cohen, Damari’s national sales director, says the average cost of an apartment at David’s Village is 10 million shekels. 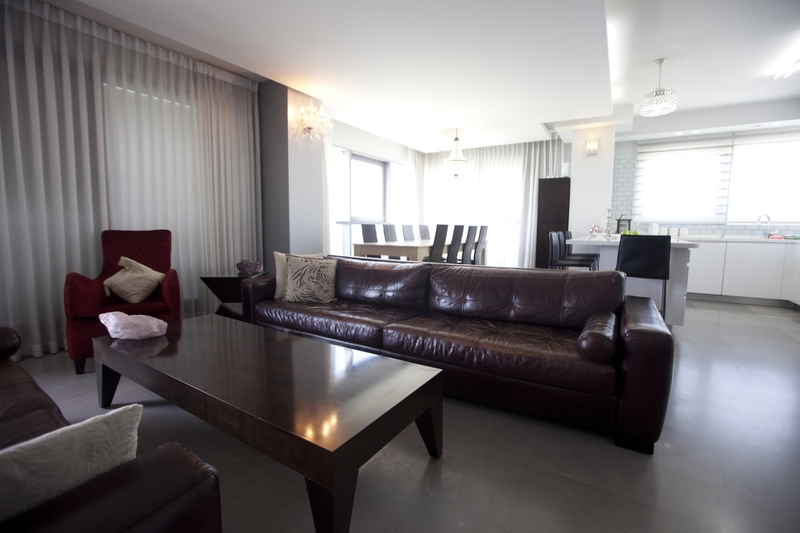 The smallest unit measures 83 square meters and is listed for 5.8 million shekels. Uri Tal’s eponymous real estate firm specializes in the Herzliya Pituah beachfront neighborhood. He’s currently representing the most expensive property for sale there, yours for 100 million shekels. Herzliya is a coastal city located north of Tel Aviv, but the most upscale properties are in Herzliya Pituah, a villa neighborhood on the western side of the city. Within Herzliya Pituah, prices are determined by proximity to the beach, with Galei Tchelet Street – which runs parallel to the sea – being the most expensive street in the city and, arguably, Israel. High-tech tycoon Zaki Rachiv purchased a villa on that street in 2005 for about $21 million. In 2010, he sold it to Teddy Sagi, the owner of the online gambling firm Playtech, for $40 million. And what does the buyer of a 100-million-shekel property get? Surprisingly, not a villa along the seashore, but one closer to the marina and the Okeanos Suites Hotel. Notwithstanding the inferior location, the property has several elements that make it unique: The 750-square-meter villa sits on a 1,750-square-meter plot – large enough to enable the buyer to build an additional villa there. “This is a new villa that was completed less than a year ago in order to be sold, and it was never lived in,” says Tal. The villa has six bedrooms, each with an en suite bathroom, a massive living room, a fitness room, a home cinema and a sauna. The furniture and accessories are from top international brands. It has a huge garden with large pool that could host parties of up to 1,000 people, and although it is not on the seafront, it is a mere two-minute walk from the beach. 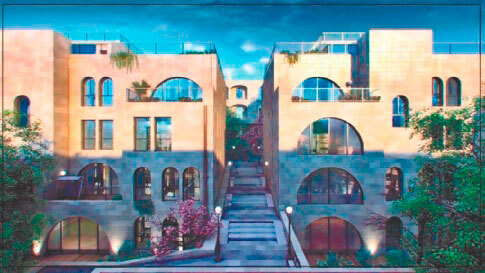 For half that price – 50 million shekels – Tal has a property on Kaplan Street. This one isn’t on the beach, either. Nevertheless, the roof affords views of the sea, which is just a two-minute walk away. The 750-square-meter villa sits on a 1,000-square-meter plot. It is a new, modern-style home with five bedrooms, with pool, sauna and home cinema. Netanya is a coastal city north of Herzliya that has attracted many foreign residents in recent years, primarily Jews from France and English-speaking countries. Nitza Boulevard is the westernmost street in Netanya, and closest to the sea. It is therefore also one of the city’s most sought after and expensive streets. The foreign residents living there and on adjacent streets are largely English and French speakers. “English-speaking foreign residents like Nitza Boulevard because of the Young Israel Synagogue,” says Anat Riesenberg, who runs the Anglo-Saxon realty office in Netanya. “This is an area where there is not yet any new construction. It is not dense, having just a single row of buildings; there is a path down to the sea and all of the apartments have sea views. Until the construction of the luxury residential towers at Ir Yamim, the buildings of Nitza Boulevard were considered the most exclusive in the city,” she adds. At the Sea Opera project on Nitza Boulevard, Riesenberg is offering a penthouse on the 26th and 27th floors that measures 210 square meters, with a 60-square-meter balcony, for 9.5 million shekels. “This is one of the tallest buildings on Nitza, so in addition to a view of the sea, there is also a view to the east. The project has a pool, fitness room and a round-the-clock guard,” she says. “On the apartment’s upper floor is a large bedroom with a walk-in closet, and a balcony with a view of the sea. And the two floors are linked by an internal glass elevator. On the lower floor is a gorgeous kitchen, a large dining room and two living rooms. Independence Square is located at the end of King David Street, south of Nitza Boulevard. King David Street is near the beach, but the promenade lies between them. The King David project, which is located adjacent to the square, is attractive to many foreign buyers. This project combines a hotel with residential apartments. “Up to the 10th floor, 80 hotel rooms have been built, and above them are condominiums of 150 square meters and more,” says Yaki Briga, CEO of the Briga Group. Residents can take advantage of hotel services such as room service and the spa, he says. The four apartments still on sale are standard for the project, with 160 square meters of floor space and 35-square-meter balconies. All of them are between the 13th and 19th floors. The prices vary between 4.5 and 6 million shekels. “We are now seeing a trend of foreigners buying apartments for residential purposes, while in the past they would buy apartments for holiday use. A small apartment is fine for vacations, but families interested in moving to Israel need larger apartments,” says Briga. The coastal cities south of Tel Aviv offer cheaper alternatives. “Ben-Gurion Street is the most sought-after street in Bat Yam because it is across from the sea. And for that reason, a lot of foreign residents – mainly French and Russian – are choosing to live there,” says Ruti Ron, who runs the city’s Anglo-Saxon agency. 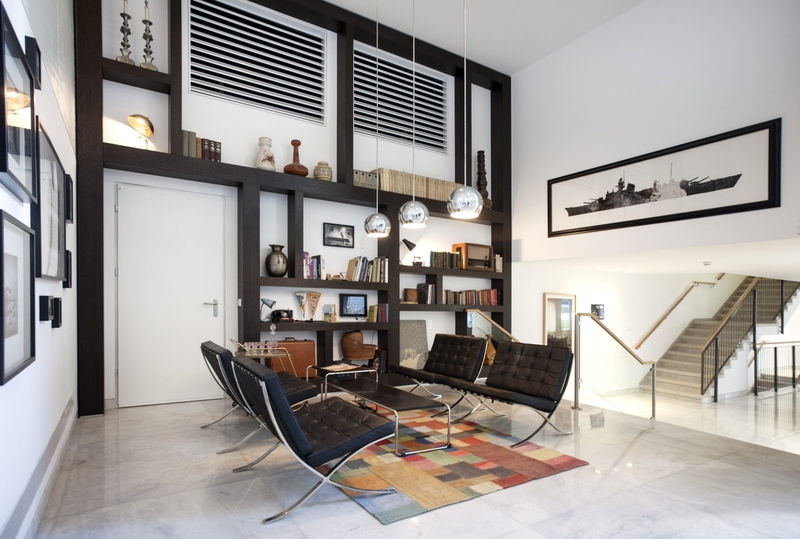 One property is a 130-square-meter apartment at 57 Ben-Gurion Street. It originally had 5 rooms, but following a renovation it has 3 large rooms instead. On the building’s 19th floor, the sellers are asking a relatively high price – 5.5 million shekels. “Its price is relatively high because it has unique planning and design. This is an extraordinary apartment; from every room you see the sea,” says Ron. For those looking for something cheaper, a 4-room, 107-square-meter apartment on the fifth floor of that building is being listed for 3.3 million shekels. The next coastal city to the south of Bat Yam is Ashdod. Because of its proximity to the beach, and the construction of two new neighborhoods, it is becoming an increasingly attractive option for foreign residents, primarily the French. The Marina neighborhood is fairly small, stretching over only two streets: Egoz Street, shaped like a half-circle, is across from the beach; and Exodus Street is the second row from the beach, extending diagonally from the coastline. The buildings on Egoz Street are lower, with blocks of between nine and 12 stories, but on Exodus Street you can find towers some 25 stories high. “In terms of price, the two streets are pretty much the same. Apartments on the lower floors on Egoz are cheaper than the apartments on the lower floors on Exodus, due to the fact that on Exodus you can already see the sea from the third floor, even if just barely. On Egoz, the view to the sea is currently unspoiled, but it is expected that public buildings are going to be built in front of it, and it is still unclear to what degree they will block the views from the lower floors,” says Binyamini. Binyamini is offering a seventh-floor apartment on Egoz with four rooms facing the sea. The apartment measures about 130 square meters and is currently rented to tenants employed by a multinational firm for 8,500 shekels a month. East of the marina is the City neighborhood, now under construction. The neighborhood comprises towers of about 20 stories each, with large apartments of four and five rooms, plus some penthouses and lofts. Y. H. Damari Construction and Development is building the Damari project, which will have two towers and a total of 156 apartments. Some 70% of the project has already been sold; the first tower will be completed in April, and the second one in about a year. “The mix of purchasers is a cross-section of individuals aged 45 and up, people of relative means, some of whom have left single-family homes in Ashdod and in the farming communities around Ashdod,” explains Amos Dabush, vice president for marketing at Y. H. Damari. Apartments there start at 1.78 million shekels for a 4-room apartment. The most expensive apartment, listed for 5.5 million shekels, is a loft on the 22nd and 23rd floors with 215 square meters of floor space and a balcony that measures 55 square meters.